Below are short explanations and links to a range of * * FREE * * educational content offered by The Office of Rabbi Sacks. Obviously there is a huge amount of content on this website, including many articles, videos, shiurim and other resources which you can find through your own searching. But here are a few highlights to get you started! If you have a specific request or question you would like to ask us, or if you are looking for something specific and cannot find what you need, please email us here and we will do our best to help you out. If you want to subscribe to our free mailing list, you can do so here. Each week, Rabbi Sacks writes a commentary essay to the weekly parsha (Torah portion). The multi-year series is called Covenant & Conversation because for Rabbi Sacks, this is the essence of what Torah learning is – throughout the ages and for us now. The text of Torah is our covenant with God; the interpretation of this text has been the subject of an ongoing conversation that began at Sinai and has never ceased. Covenant & Conversation is sponsored by The Wohl Foundation. As well as the latest essays, you can also access the Covenant & Conversation archive. Covenant & Conversation: Family Edition is a new and exciting initiative from The Office of Rabbi Sacks for 5779. Written as an accompaniment to Rabbi Sacks’ weekly Covenant & Conversation essay, the Family Editionis aimed at connecting older children and teenagers with his ideas and thoughts on the parsha. Each element of the Family Edition is progressively more advanced; The Core Idea is appropriate for all ages and the final element, From The Thought of Rabbi Sacks, is the most advanced section. Each section includes Questions to Ponder, aimed at encouraging discussion between family members in a way most appropriate to them. We have also included a section called Around the Shabbat Table with a few further questions on the parsha to think about, and an Educational Companion which includes suggested talking points in response to the questions found throughout the Family Edition. Why I am a Jew: On Jewish identity. Further videos are planned on: The Dignity of Difference, Tackling Religious Fundamentalism, The Ethics of Responsibility, and The Relationship Between Judaism and Israel. 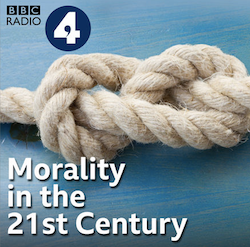 Over the daily episodes on BBC Radio, Rabbi Sacks and a host of expert contributors explored topics that included ideas around moral responsibility and who still has it; the impact of social media on young people; Artificial Intelligence and the future of humanity; the impact of individualism and multiculturalism on communities and who young people see as their moral role models. In each episode Rabbi Sacks also spoke to groups of young people between 16 and 18 years old, who provided commentary on the discussions and shared their insights into their moral, social and political outlook, and examined with them what the implications of their opinions might be. You can listen to the five main programmes, as well as a series of extended interview, on the BBC Radio 4 website here. You can watch the TED Talk here. Rabbi Sacks is the author of over 30 books covering both Jewish and secular subjects. He has written a commentary and translation to the Siddur, as well as commentary to all the machzorim (festival prayer books) and on parshat hashavua through his Covenant & Conversation volumes. 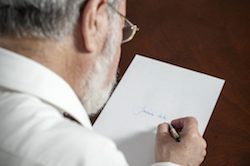 Some of the other subjects he has written on are: the relationship between religion and science; how to promote a dignity of difference among peoples; the challenge posed by religious fundamentalism; the ethics of responsibility; creating harmony in societies made up of diverse groups; and how to create a politics of hope for the common good. You can view all his books here. 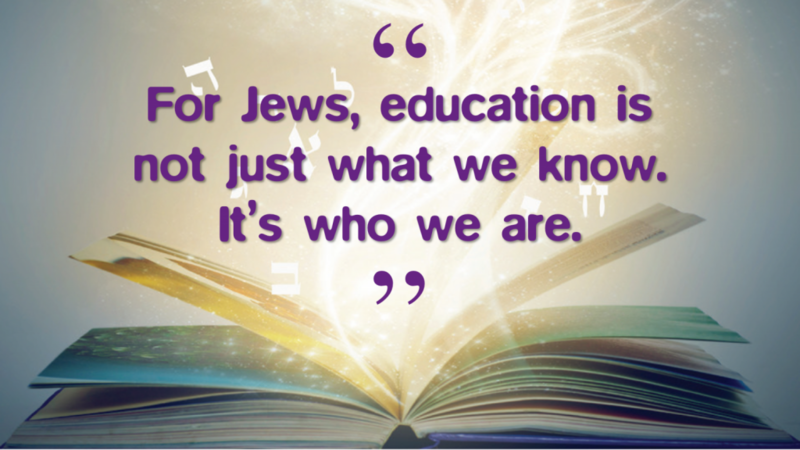 Lots of educators like to quote Rabbi Sacks’ work. To help make finding suitable quotes slightly easier, we have begun to develop a database of quotes based on different subjects. This is evolving and we are adding to it as often as possible. You can take a look at the quotes database here. To date, Rabbi Sacks has published two booklets called ‘Letters to the Next Generation’. These are a collection of of short reflection on some of the biggest issues about Judaism and living a Jewish life and addresses questions such as: Does faith make sense? Aren’t the new atheists right? Isn’t religion based on ideas that have been disproved or at least overtaken by science? Can we really believe in a God who cares for us when He doesn’t prevent natural or man-made disasters? Can we believe in the Jewish God after the Holocaust? Do Jews really need to stay different, distinctive, set apart? Isn’t Judaism simply irrelevant to the twenty-first century? Why does Judaism need to surround itself with so much protective packaging? Why be Jewish? Why stay Jewish? Why live a Jewish life? How does it help you be the person you want to be? You can read the first edition of Letters to the Next Generation here and the second edition here. 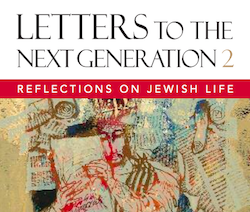 You can read a special edition of Letters to the Next Generation here that was published for the Prizmah Conference which included a selection of letters from both editions as well as a final letter on Jewish identity. In his final message before stepping down as Chief Rabbi after more than two decades in office, Rabbi Sacks recounts his personal journey of discovery and faith. 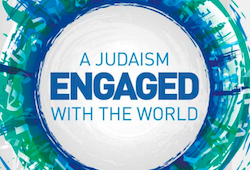 Through a compelling analysis of recent Jewish history, ‘A Judaism Engaged with the World’ warns that a Judaism divorced from society will be a Judaism unable to influence society or inspire young Jews. Calling Judaism “the voice of hope in the conversation of humankind”, Rabbi Sacks argues that in the twenty-first century, Jews will need the world, and the world will need the Jews. What we need, he argues, is a Judaism unafraid to engage with the intellectual, ethical, political and personal challenges of our time. As one chapter in his own life comes to a close, Rabbi Sacks invites you to join him in his mission to inspire a new generation of Jewish leaders with the confidence to address the challenges that face Jews, Judaism and Israel today. You can read this booklet here. The Soul’s Language – Kol Nidre and the power of music to lift the Jewish soul. You can watch these videos and read the transcripts here. How one of the ways we can all be inspiring parents is by creating time and space for our children to inspire us.